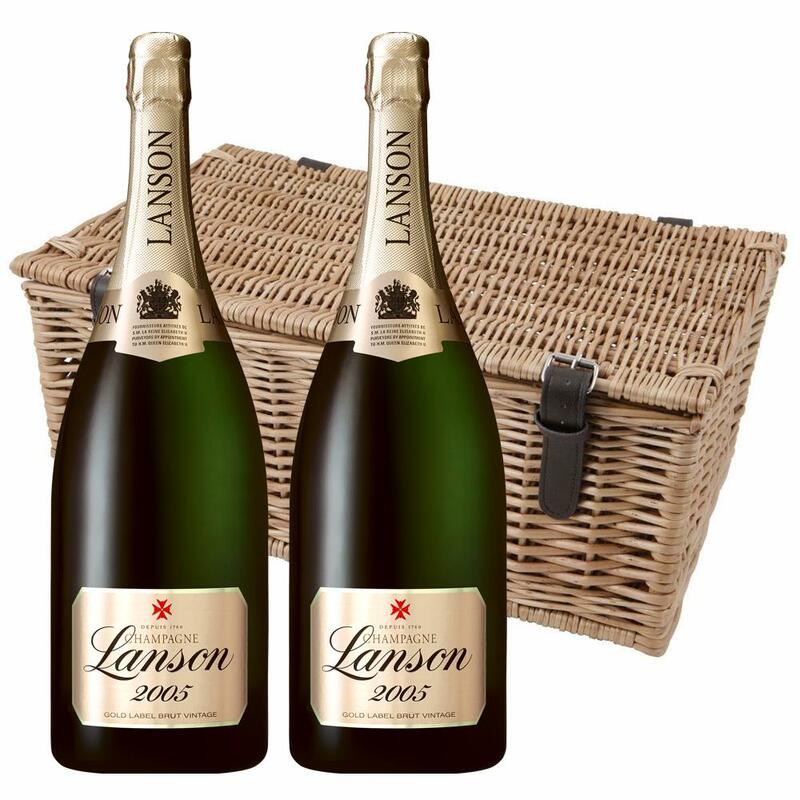 This Duo Magnum Hamper comes with two of Magnum of Lanson Gold Label Vintage 2005 150cl packed together in a medium wicker basket with faux leather fittings and cut out handle either end. This wicker hamper is made from top quality autumn willow with natural boiled finish to give a luxury finish. Magnum - Lanson Gold Label Vintage 2005 A Magnum of Lanson Gold Label Vintage 2005 Champagne (1.5 litres) Presented in a wooden gift box with sliding lid the box is lined with wood wool - Gift Card for your personal message - Well structured with racy acidity but with rich undertones and soft maturity - one to savour.